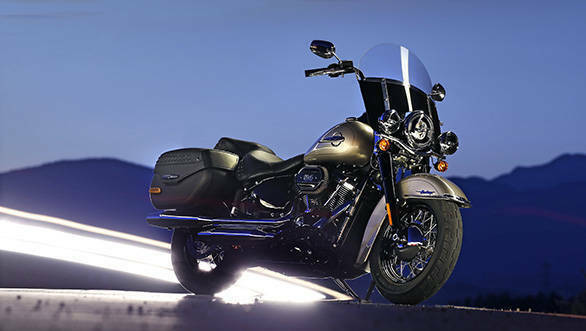 The Heritage Softail has always been one of my favourite motorcycles in the Harley-Davidson pantheon. I've never liked the stocked screen and more or less, thoroughly enjoyed everything else about the Harley-Davidson's retro-groover in the Softail family. This year, though they've turned it up to eleven. The sweeping changes to the 2018 Softail family mean that the new 2018 Harley-Davidson Heritage Classic is lighter, faster, more capable and it should arrive this November bearing only a modest rise in price. Since we have ridden a whole bunch of the new 2018 Harley Softails, the engine and frame details have become repetitive. But to summarise the changes quickly, the older Twin Cam engine has been replaced a newly re-tuned Milwaukee 8 engine. India will only get the 107, the 1,750cc engine but even with that performance is greater across the board. The Milwaukee 8 is, of course, Precision Cooled - Harleyspeak for oil-cooling on the exhaust valves. The wet sump and the oil-cooler mounted neatly between the downtubes, says Harley, dramatically cuts the perceived heat from the motorcycle. 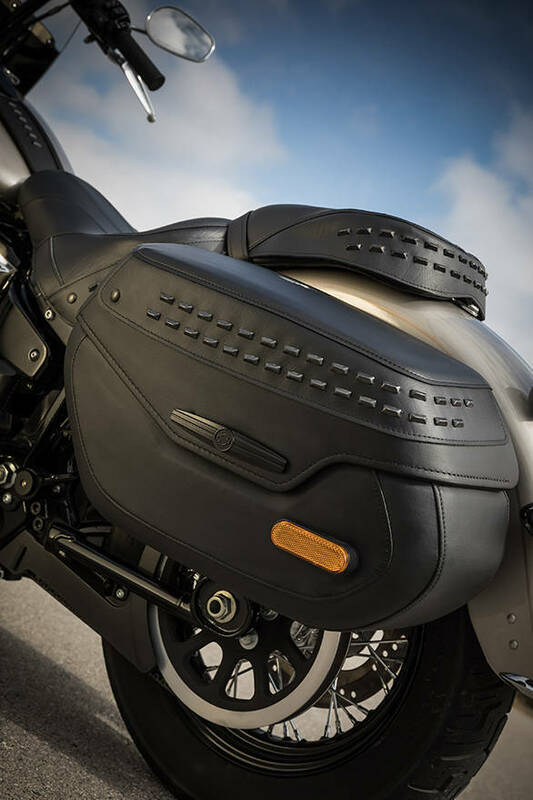 The thermal stability did allow Harley to raise compression - good for economy as well as power last year when the Milwaukee 8 debuted on the Touring range. For the Softails, the big change is the addition of a dual counterbalancer to produce an even smoother engine than before. 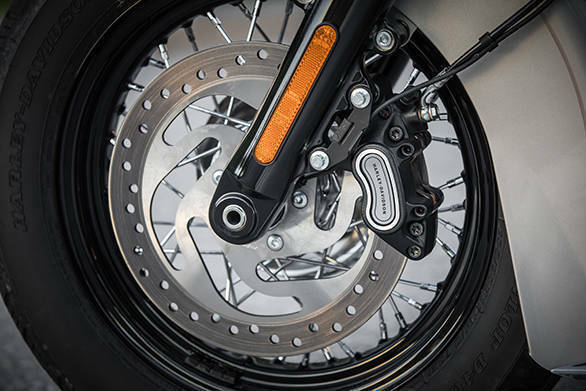 The smoothness, in fact, allows Harley-Davidson to slot the Milwaukee 8 into the frame as a stressed member. So not only does the new frame produce a notable weight reduction, it is also 34 per cent stiffer which improves the feel and handling of the Heritage Softail. Also new is the Showa Dual Bending Valve fork up front matched to the longer - there are two versions for the 2018 Softails - pre-load adjustable rear Showa monoshock. But the motorcycle is more than the sum of these parts. Harley says the Heritage Softail has always been highway friendly and it has added weather resistant, lockable hard bags and a removable screen in a nod to that role goal. But the shocker is that it's got moves! We were riding in the hills outside Barcelona in Spain and the Heritage Softail's manners are terrific. 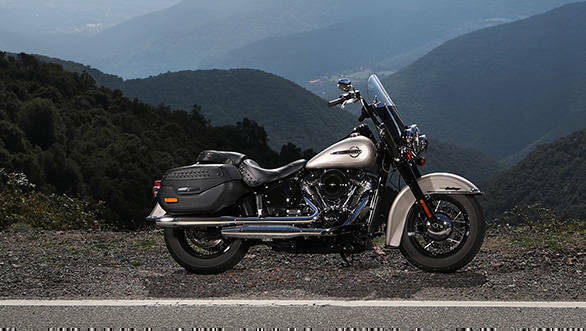 The wide handlebar gives you the leverage to make steering relatively effort free and the Softail tips into corners fast and hard, most unexpected. Direction changes are light on the effort part for a Harley too and how fast the Softail goes over to the footboards is simultaneously hilarious and unexpected. Harley-Davidson did intend to increase the ground clearance on all the 2018 Softails and the lean angles are deeper but its the confidence and joy the Softail exhibits that makes cornering this large, retro-themed motorcycle such an unexpected pleasure. The engine keeps ups happily. One of the nicest things about the Milwaukee 8 is that you can ride it like the Faithful - low revs, high gear, all a-rumble or you can loft the revs higher and enjoy a more strident engine note. On the roads today, the slippery (but dry) tarmac meant that now and then, you'd get this retro-cruiser to spin up on corner exits. That is ridiculous. I guess traction control is next, what say Harley? The improved suspension and the lighter chassis also make the brakes feel like they're sharper and I was able to save my recently mended right foot from wear and tear by not really having to use the rear brake for most of the ride. That's a real compliment to the front brakes then! On the whole, the new Heritage Classic is a terrific cruiser. It sharpens its dynamics and performance while taking the old-school styling to a new place. The panels are all sharper in line and the darker tones look very nice indeed. 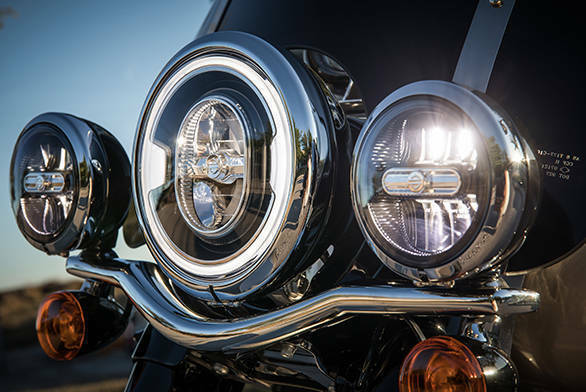 The new standard LED head light with DRLs fits the role and it really does look smashingly good. The keyless ignition is a good idea too and the whole Heritage experience today has been nothing but satisfying. Harley really are on to something special with the 2018 Softails, the Fat Bob proved insanely fun to chuck around the mountain roads too! Harley-Davidson is expected to announce the beginning of sales for the 2018 Softails in November 2017. Given the modest price rises that accompanied the arrival of the Touring models with the Milwaukee 8 earlier, we would suspect that a small price rise will come when the sales open. The current Heritage Softail is priced at Rs 16 lakh and the new one, our guess, should sit at around Rs 17 to 17.5 lakh ex-showroom.